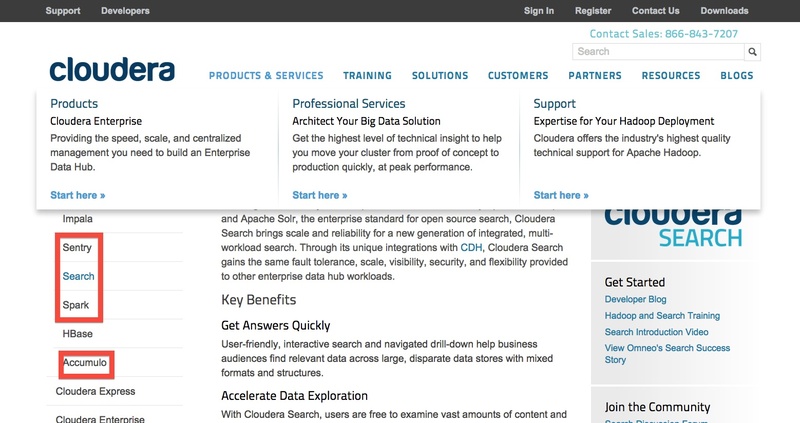 (1) It is a bit hard to admin, since we are using CDH, it might just be easier that you can monitor all the animals at one place – Cloudera Manager. (2) When you need to index the data, you have to turn that into JSON, and move from HDFS to local and write some Python code to index it, at least that was my way to do it. 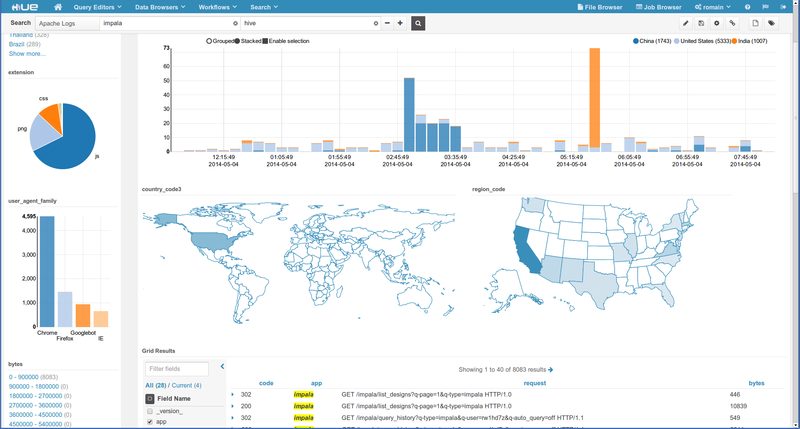 For the front end, Kibana is also another reason that why I like Elastic Search, also they have Silk which is an equivalent of Kibana but for Solr, and in the newer version of Hue, they have some pretty kickass dashboard where you will have your bar chart, pie chart and favorite map.